The mild attacks simply focused on a fear of Chau spreading diseases foreign to the indigenous people while the cruder referred to John as a criminal adventurer, full of prejudice, and even lambasted him as xenophobic. One article even called him a villain and most attacked him as being arrogant and in dismay as to why he would feel a need to convert these people to his way of thinking about God. To them, religion is relative and it is rather a more noble thing to leave these Stone Age people alone. If religion is relative or if there is no god, then I can see why people would think this way. However, the bottom line is that John went with a heart to help. He went with a heart of compassion. When it comes to practicality, some of these arguments may really just be excuses of responsibility. After all, we don’t condemn a guy who goes to dig a well for a starving remote village in Africa. There just seems to be more to the story here. When I got the news last Thursday night, I was quickly taken back in history to 1956 (not that I was alive then) when the great missionary, Jim Elliot, died at the hands of Aucas Indians in the Amazon basin along with his team mates. The Aucas, or sometimes now called the Waorani Indians, were very similar to these island natives that Chau attempted to reach. One of the issues with the Aucas was not only spiritual, but physical, they were on the verge of extinction by killing each other in blood feuds. Elliot and four friends went to help these people and gave their lives to reach them. When their death was reported, the world responded with compassion. One example is from Life Magazine of which I remember seeing in a biography of Elliot. Yes, there were indeed critics at the time, but nothing like the hatred of today. But now, 62 years later, because of Elliot’s efforts and the fact that his wife and others who went back to the Aucas, they have met Christ and the killings have stopped. In other words, practically, they are better off because Christian missionaries gave the ultimate cost to share the love of Christ with the. So in looking at the attacks on Chau and possible reasons why he went to these people, let’s consider the spiritual and practical reasons for someone desiring to share Christ with others even if it means their life. The foundational point here is that these people, like all people, need the grace of God. The assurance of God’s grace is only found in Jesus Christ. All world religions set before us a scale of which we attempt to earn enough points to appease God. Those who hold to no religion, practice their own subconscious religion with their own classifications of good, bad, and good enough and not too bad. They make their own determination of true goodness. Ultimate goodness for them is relative with them being the pronouncer of merit. But yet even the best of us can’t keep up with our own personal morality 100% of the time. This reality is placed right next to a God who is completely pure and Holy and thus unable to entertain imperfection. From there we see in Romans that both mankind is without excuse and deserves separation from God because of the sin. The answer of God’s love is found only in Jesus, the divine son of God, who came, dwelt among us, lived a perfect life, and then died on the cross for our sins and then rose again proving his divinity and that his sacrifice was sufficient. An authentic Christian missionary goes out not as one of “better than” and certainly not as “I’m better” but rather one of providing the only answer to the sin question. This is not Islamic forced conversion but rather holding out hope and help. People are separated from God in Hell because of their rebellion, sin, un-holiness and Jesus is the only effective answer to that sin. Chau was called arrogant in sharing his faith. But yet the actual arrogance is to stand before a 100% pure and Holy God and state that we think we’re good enough and at the same time reject and despise his free offer of grace. 2.Practical – fruit of the spiritual. The argument has been given that all religions are fine and if they work for others, we ought to leave them alone. So since this occurred in a jurisdiction of India, let’s consider how well the man-made religion of Hinduism actually works. Sati. That’s when a widow would be burnt to death on her husband’s pyre. It was actually the British missionary, William Carey, who in the early 1800s helped dismantle that practice and it is illegal now. At the time, some would say it was criminal for Carey to be there as the British government and East India Company told him not to preach. Yet like Chau, his heart burnt with love for the people. Cast system. Here your value, or lack thereof, is determined by where you are born and to whom you were born to. The worship of animals. Thus, there is greater starvation in the populace. Not only is the eating of beef forbidden, but the devout in Hinduism will not even kill rats which eat and pollute their grain and food storages. The practices of Brahmacharya. This is the practice where Hindu holy men sleep next to naked women to prove they have self-restraint and Gandhi did it on a regular basis. This is actually a piece of that whole “good enough” deal as most people say Gandhi was a “good guy” even though he did this often and sometimes with underage girls. He once insisted in doing this with the 18-year-old wife of his great-nephew even over his nephews please not to. The religious murders. It is mostly from the Islamic groups, but the Hindus also partake in the violence. Not the true followers of Christ. This list for Hinduism and other religions could continue in their hopelessness. On the other hand, the story is different with Christianity. Have there been false Christ followers and nut jobs along the way? Sure, but look at the totality of history. It was Christians who formed such groups as the International Red Cross and Salvation Army among uncountable others through the ages. While the Hindu India belittled the North Sentinel Islanders as the lowest in the cast system and the rest of the world looked on them distantly as if they were merely some kind of living museum actors in a Stone Age exhibit, John saw them as individual people created in the image of God with value as are the rest of us. In one sense, he was similar to Mother Teresa whom the world reveres. She broke the cast system and went to the poorest to help. Initially the Catholic church told her not to. The Indian people told her not to and early on some attacked her. But she persisted out of selfless love and today the world applauds her actions. But things have changed with hate toward authentic Christianity as seen when people would now crucify Chau for just trying to love people as Teresa did. For those who would curse Chau but now have an honest interest in why he really went to the greatest depths of love, then I’d encourage you to examine Christianity beyond the media hype and sources that are clearly biased. Study the voracity and authenticity of the Bible and claims of Christ. If pride keeps one from doing this, then at least note all the good that has come into the world through authentic followers of Christ. At the end of the day, I don’t know if Chau made all the right logistical moves. I can already see some things that could have been done differently which might have spared his life for another day. In conclusion though, here is a young man who had a burden to help these people, for good, and the world has condemned him. But yet that is really the way it has always been. When you look at history, those willing to radically trust Christ and live for him have stood out and been berated. But they have persisted and eternity and the world is a better place because of them. 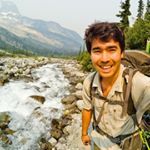 My hat is off to John Chau and I hope his steps, though not perfect, are an encouragement for you to persist as well.